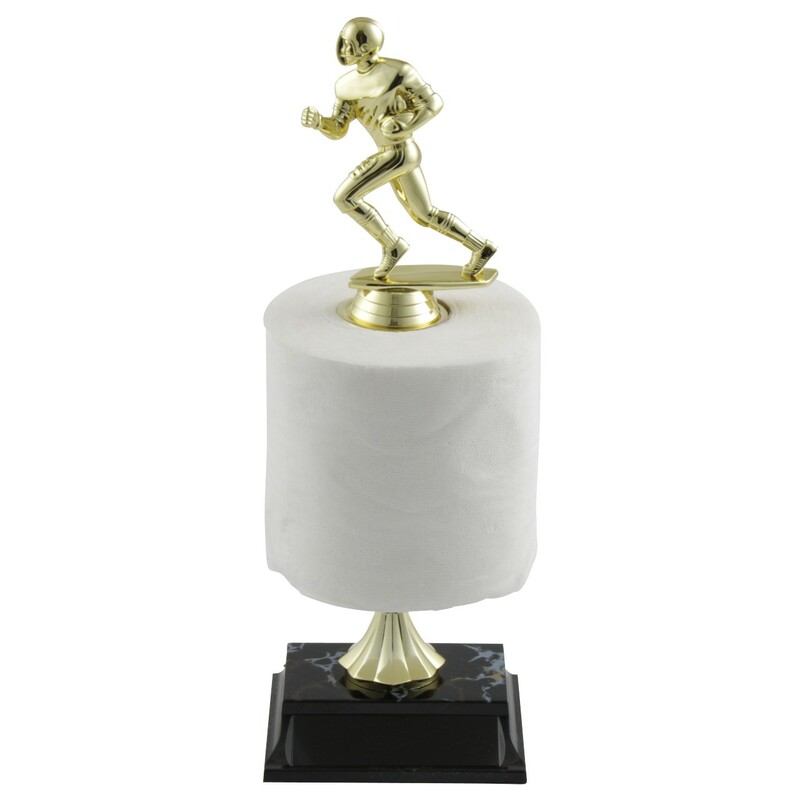 Our popular Fantasy Football Loser Trophy is sure to be a hit with your league! This trophy features a golden running back with a fresh roll of toilet paper on a simulated black marble base. Get on a "roll" and order this for your favorite loser every year! Approximate height is 13 inches; price includes 3 line of engraving.